Is Digifrenia robbing you of your precious energy and good quality sleep? Are you spending your precious time, life force energy and greatest potential on your phone, tablets and computers? The average teenager sends 4000 texts per month. One study showed workers checking email 40 times an hour. 38% of you check your email at the dinner table – loosing our manners are we? This is bad right? Maybe it’s time to recognise the primal and egotistical addiction to social media and use it, rather then it, using you. Don’t get me wrong I use it too, but lately it’s been brought to my attention just how much of a draw it is. It’s like some sort of dark forces are trying manipulate my emotions! Having all your portals open all at once is stealing your time, energy and your sleep. Technology is taking you over and it puts you on constant alert! That means you’re always stressed and frying your brain! If you check a notification or email when you are trying to do something else, the total distraction time is 23mins and 15 seconds. Your brain has to pull itself away from something it’s settled into, then get back into it, that must be like an out of control sandstorm in your head! Why let life pass you by living on FB admiring other peoples’ lives instead of living your own. Why become a slave to email, Instagram, Facebook and Twitter. Maybe we should be keeping your special moments for our real friends and family? The problem is, we don’t realise we’re being sucked in…. Did you know, if you put a frog in warm water, he’ll happily stay there, if you turn up the heat slowly, he won’t notice until it’s boiling and he’s dead! Thats what happens when you become addicted to something, in this case you slowly become addicted to your screens and it’s notifications! 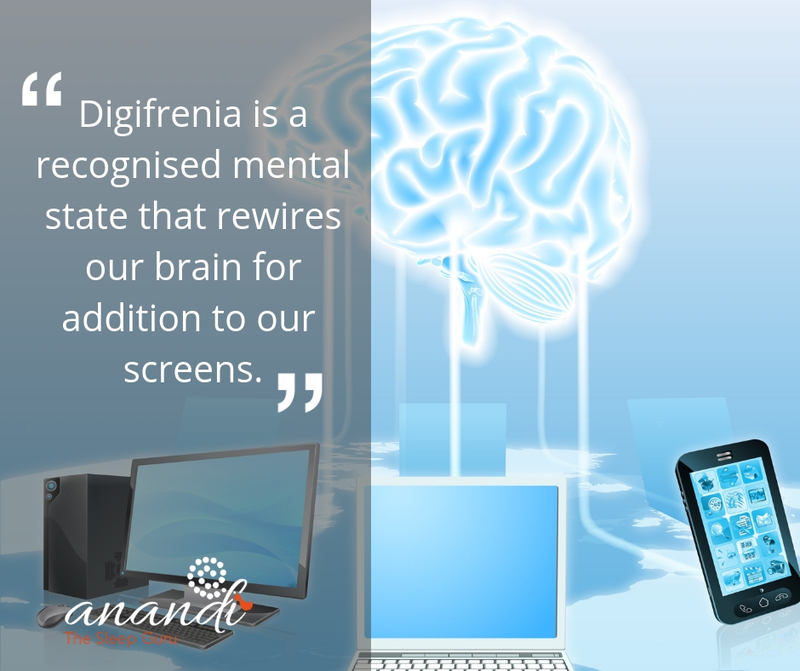 Before you know it, you’ve become a ‘digifenia maniac’. It’s like eating junk food, it doesn’t jump off the shelves and stuff itself in your mouth, you choose if and how much you eat. Technology is the same, you choose, instead of it stalking you 24/7. Imagine those constant notifications from your many apps pulling you around by a nose ring! Yes, that’s what it’s like, you become a puppet! Designate ‘no screen’ time every day. Get an alarm clock instead of using your phone as an alarm and get it away from you physically at bedtime! Be brave remove FB from your phone or at least turn off notifications! Make sure your phone is nowhere within reach when in the car, don’t be tempted at red lights to check email or Facebook notifications!! Good luck and enjoy your new found time for yourself and your loved ones!